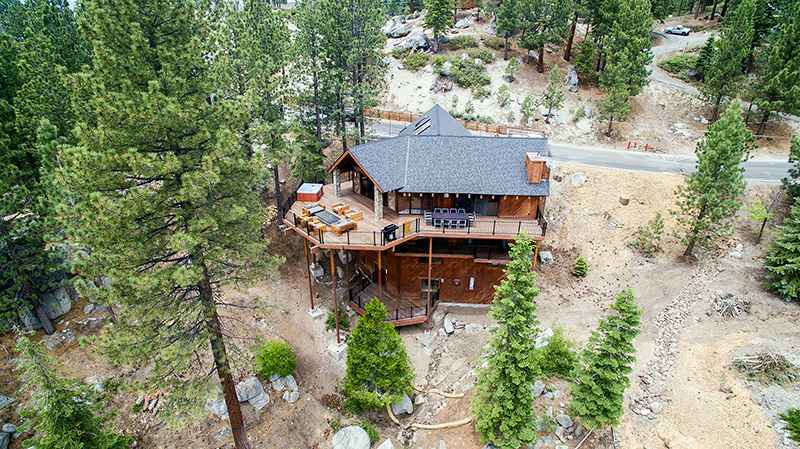 Rare 8 bedroom/6.5 bath Estate on over 5 acres of privacy that surrounds this 5600 square foot home. 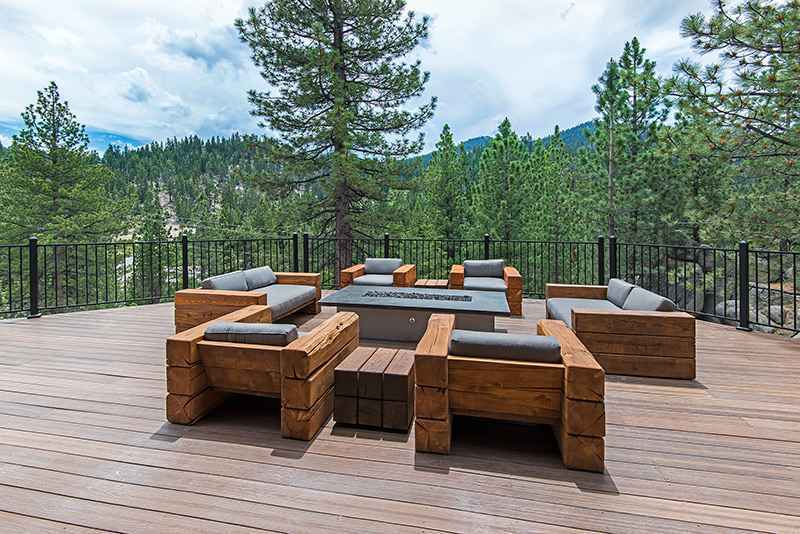 The house has over 2,000 square feet of deck space not included in square feet which is great for entertaining with a large BBQ, Restoration Hardware Aspen patio furniture with Sunbrella cushions set around a Fire table, Restoration Hardware Aspen outdoor dining table, magnificent outdoor setting makes this a one of a kind outdoor experience as the decks look out over magnificant large boulders with Heavenly slopes in the backdrop and tree lined areas indigenous only to Tahoe. 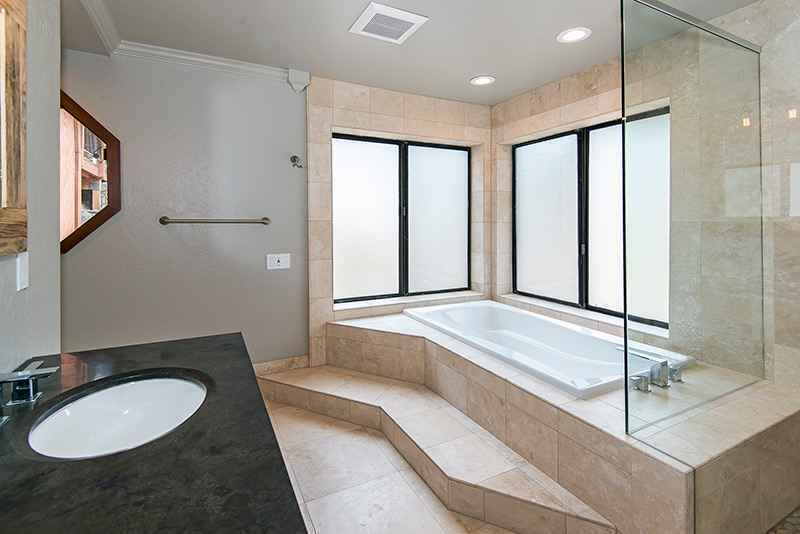 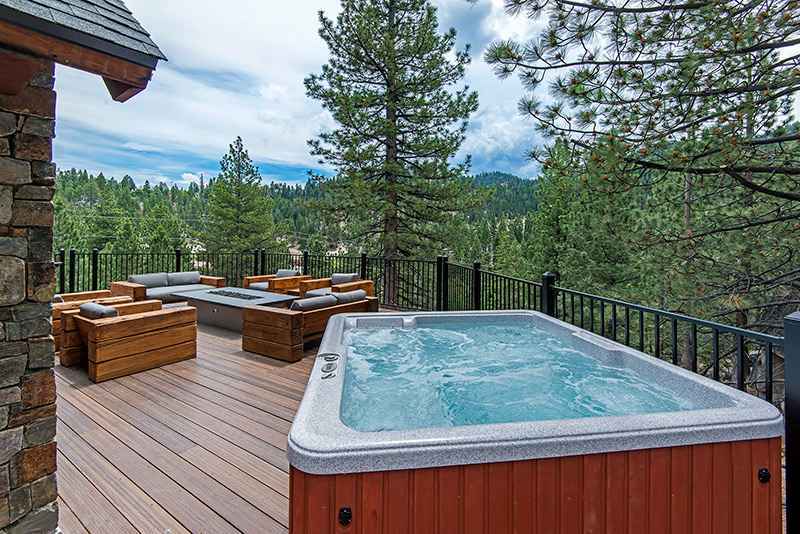 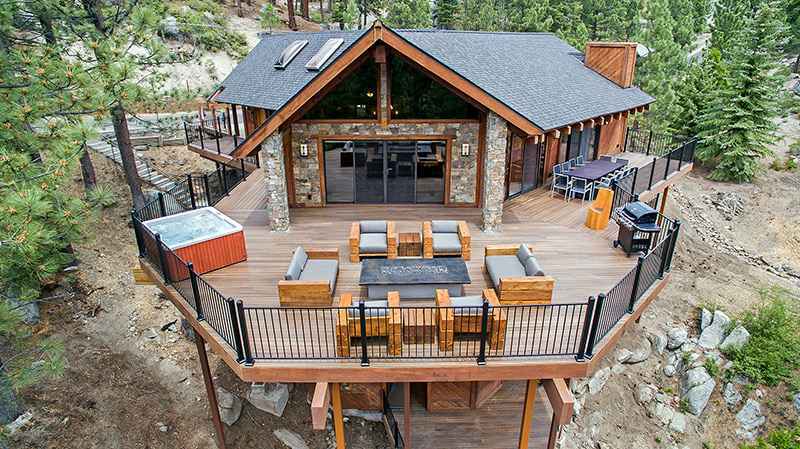 Large hot tub on this top floor view deck. 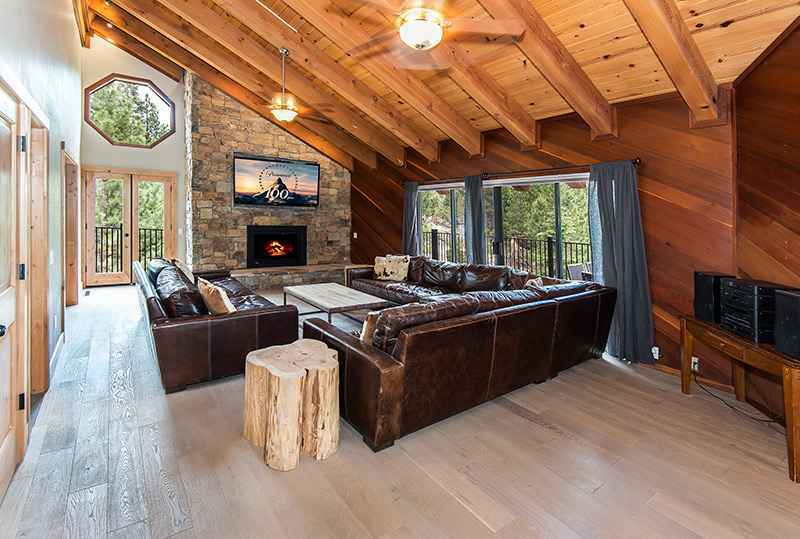 Huge top floor living area has a large rock fireplace, 75'inch Plasma with High Definition through Direct TV, large sectional Restoration Hardware sofas. 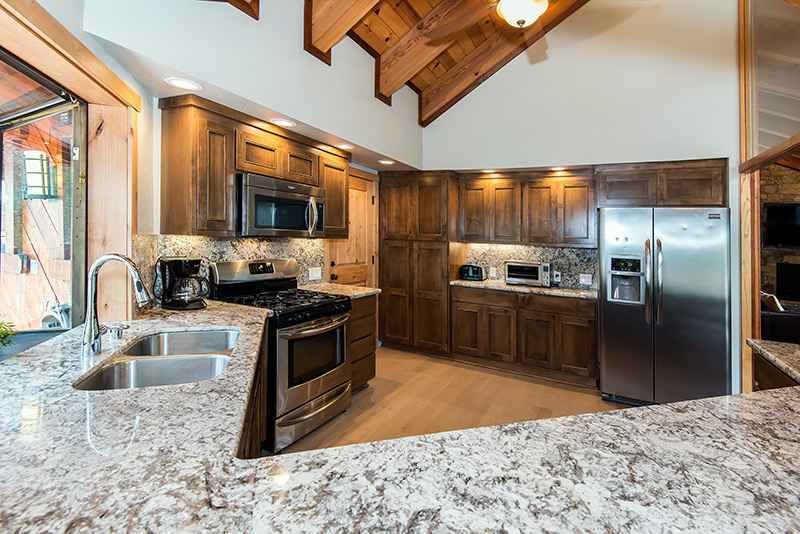 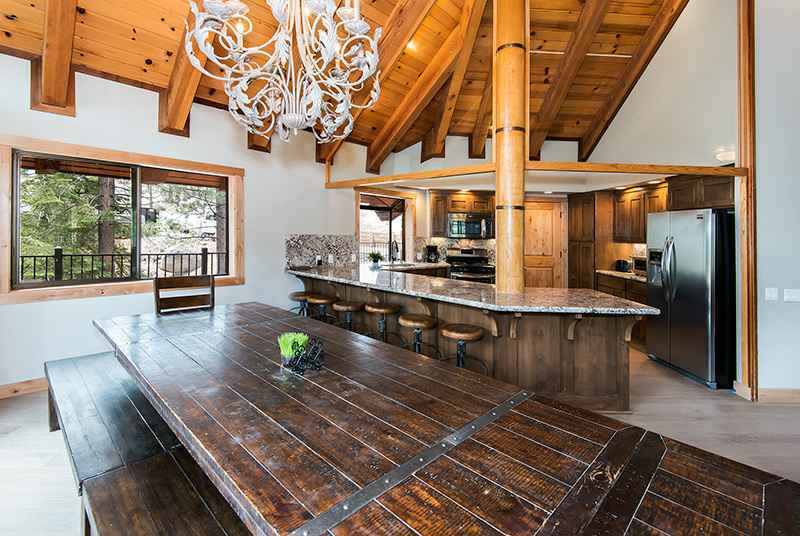 Modern kitchen with granite counter tops connects to dining room with a large 14 seater dining table and 6 bar stools at the bar. 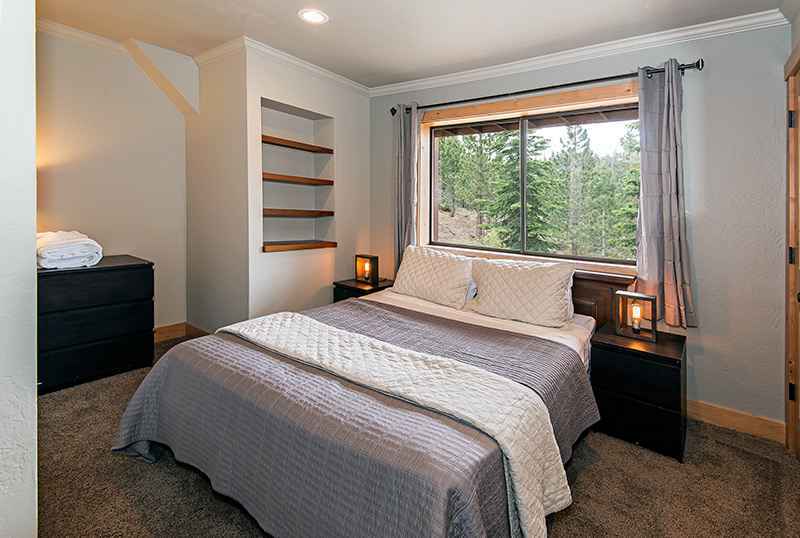 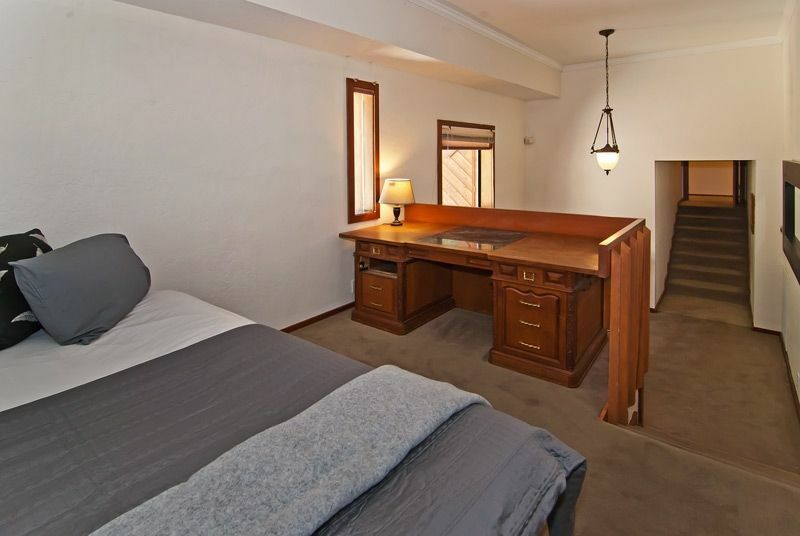 Bedroom with King bed and private bath and private deck off living room. 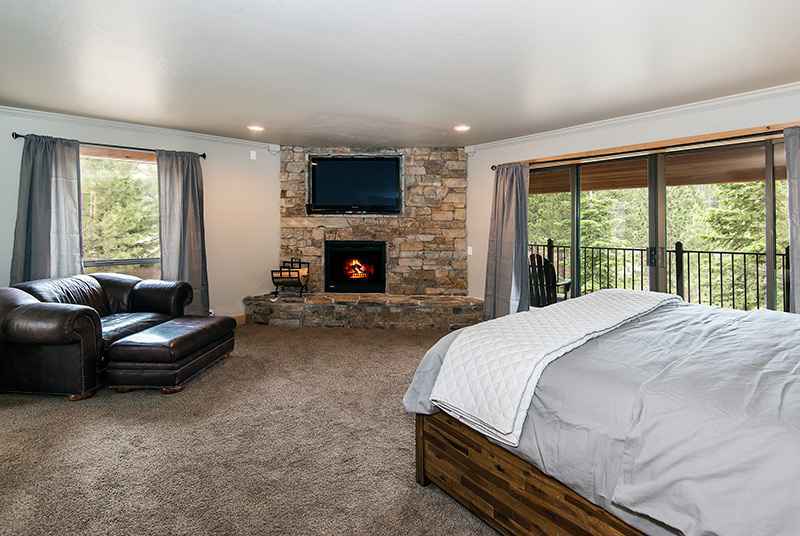 Next level down (2nd floor) has 3 more bedrooms with 2 bathrooms, Master suite has a large rock fireplace, 50'inch Plasma Flat Screen on rock fireplace on wall above bed, remodeled bath with marble and granite throughout, separate oversized soaking bathtub, glass enclosed shower, tons of windows surround bathroom. 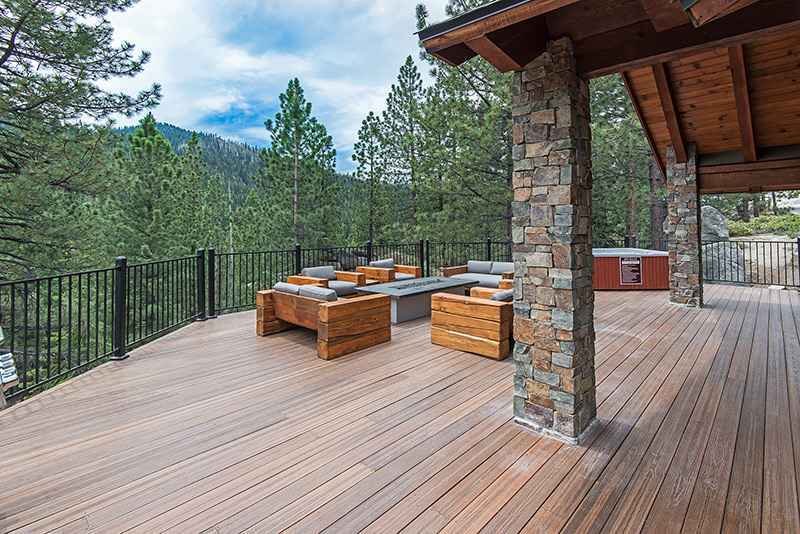 Another deck off Master with Adirondack chairs. 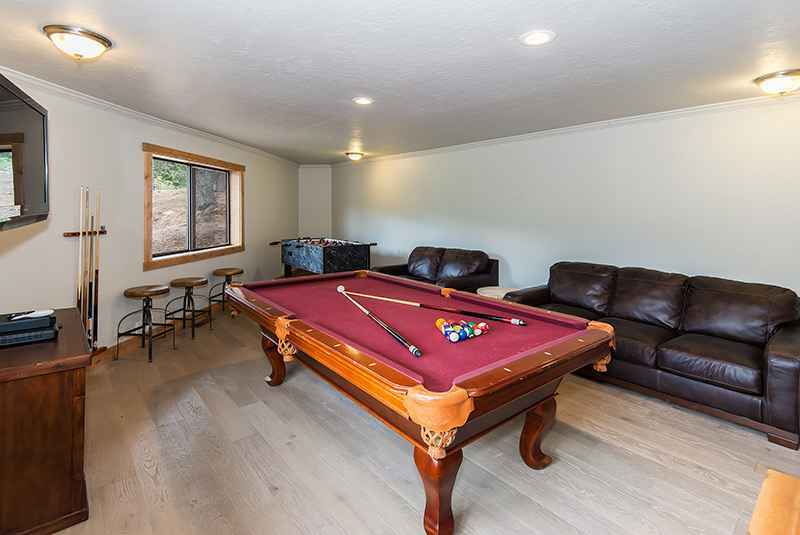 Next level down (3rd Floor) has a Game room with Regulation sized Pool table, Foosball, Living room #2 with large Plasma Flat Screen TV on wall, couches, 4 more bedrooms on this level. 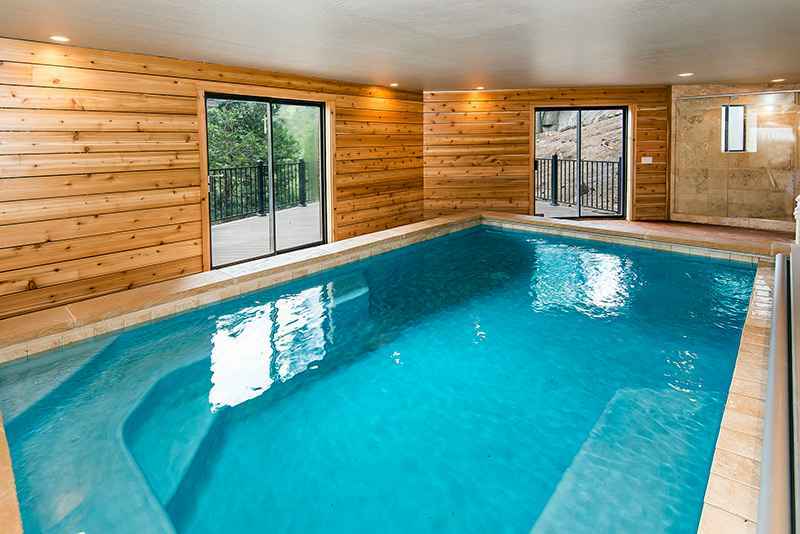 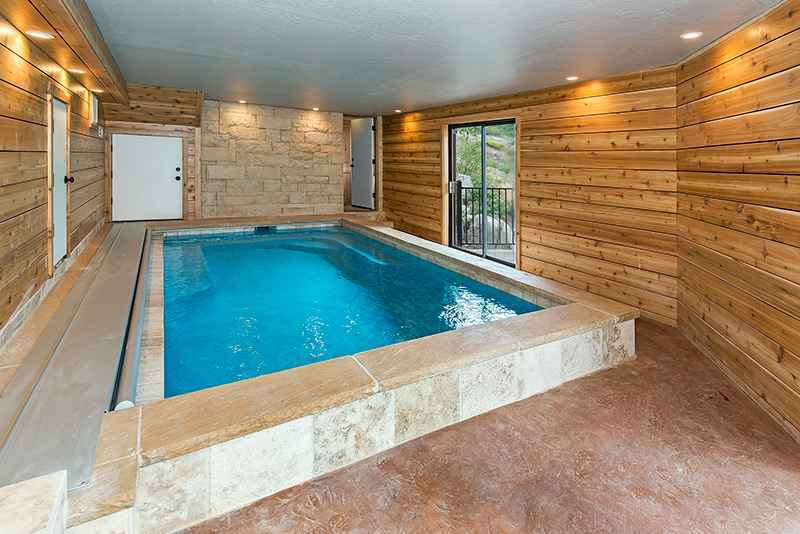 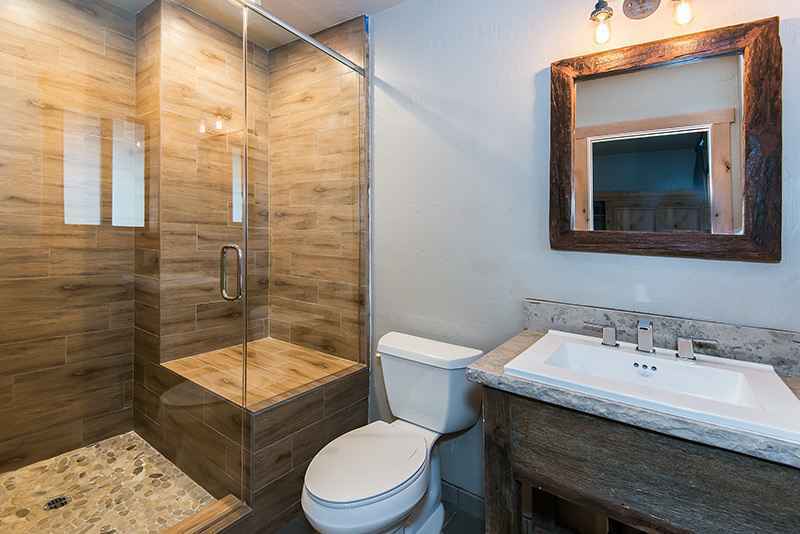 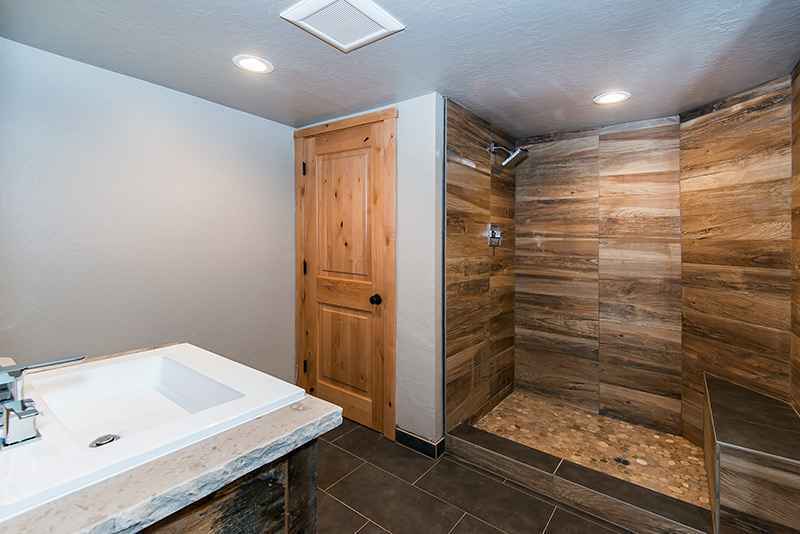 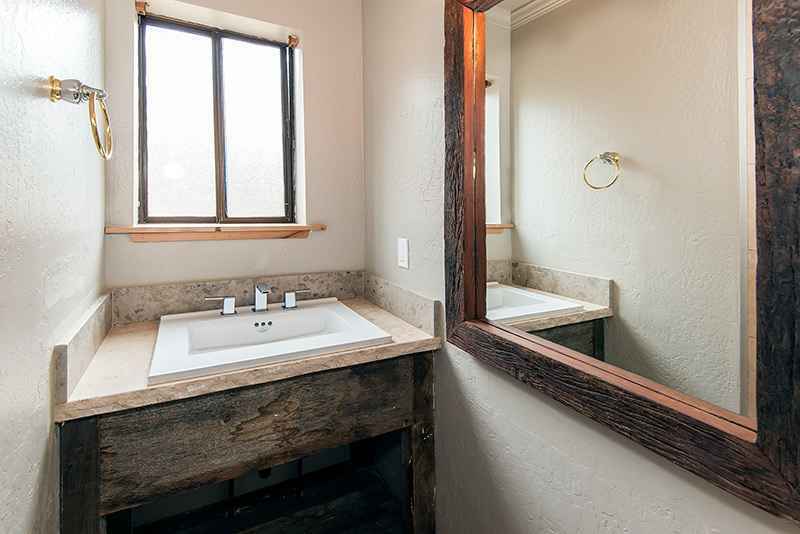 Bottom level has an Indoor Pool with cedar siding lined walls for that true Tahoe Pool Lodge feel. 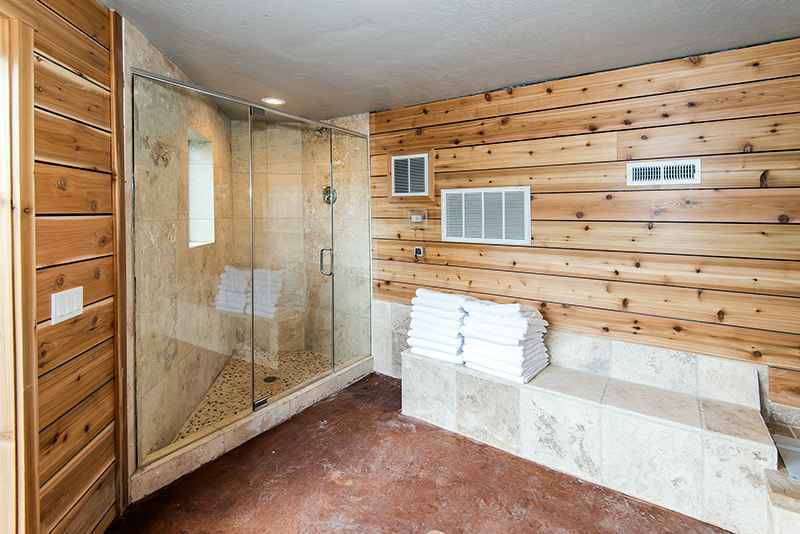 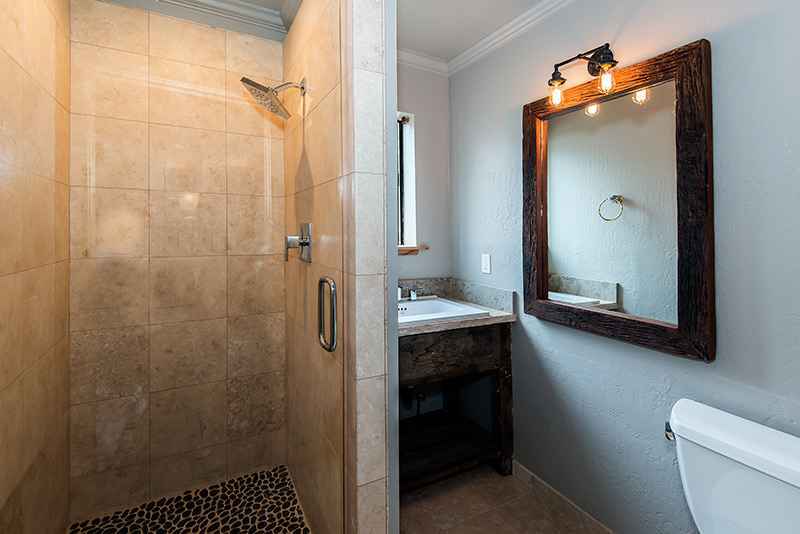 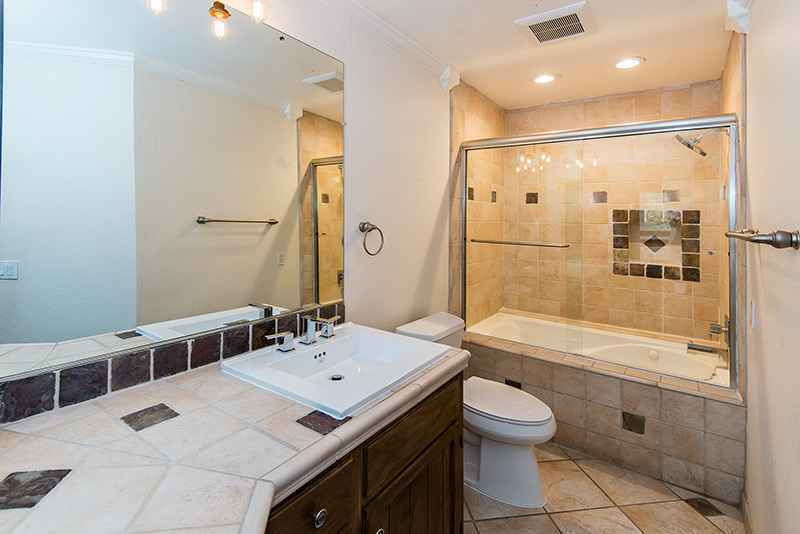 Shower room next to pool. 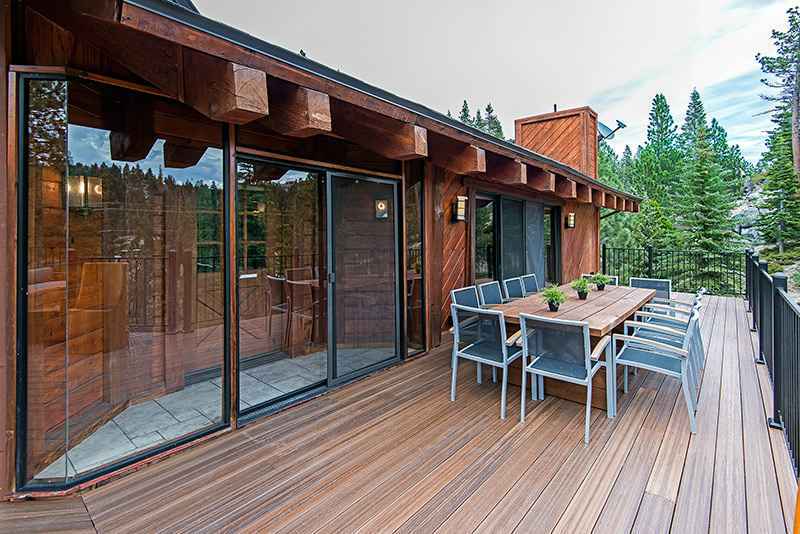 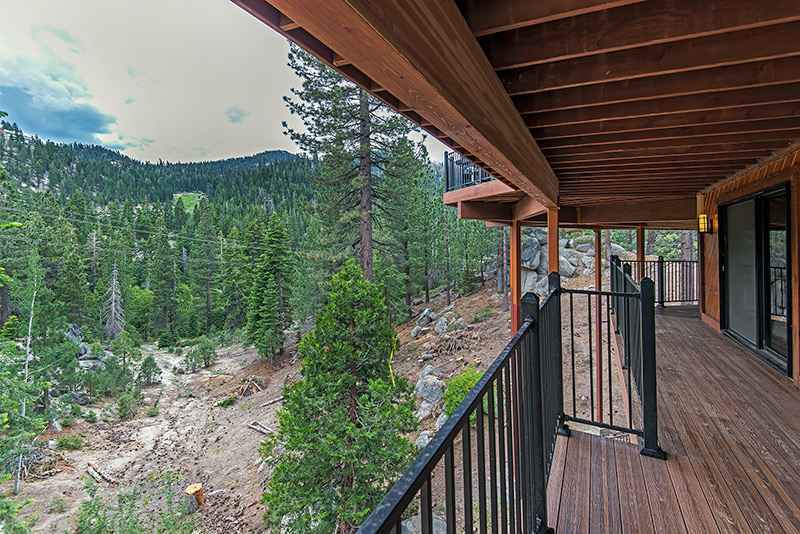 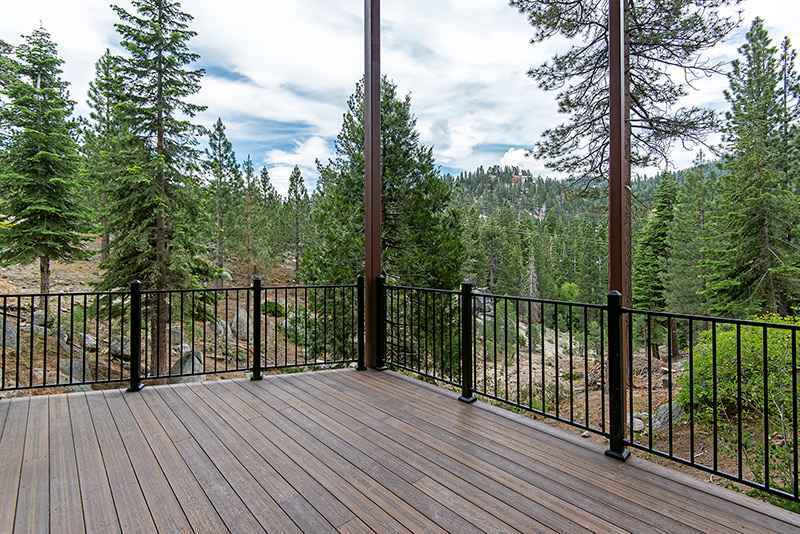 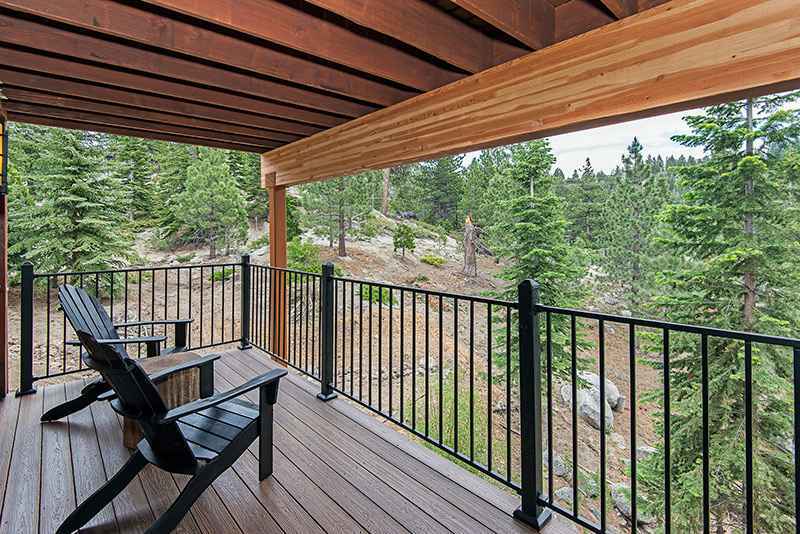 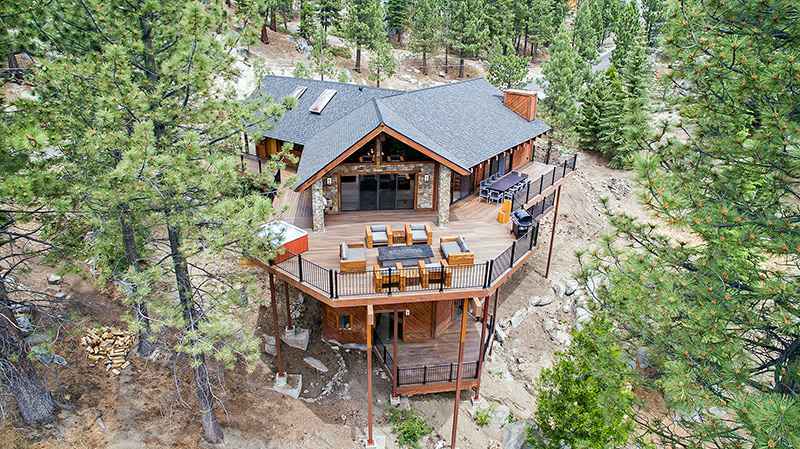 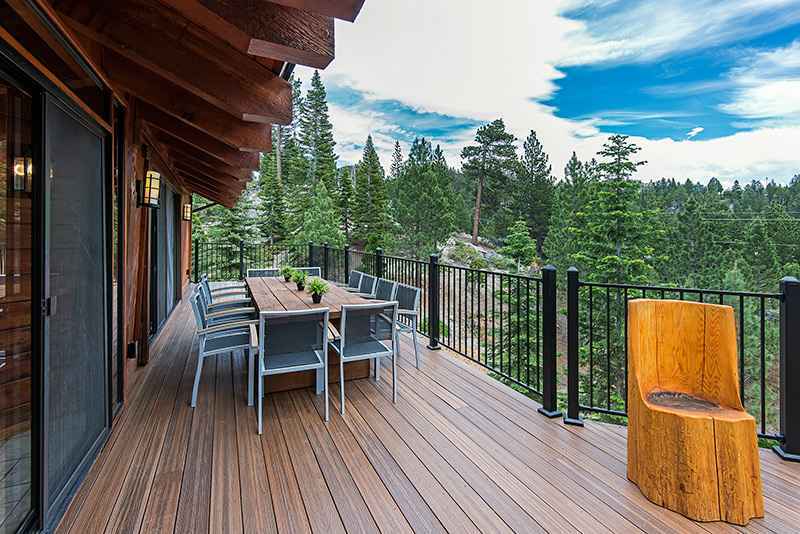 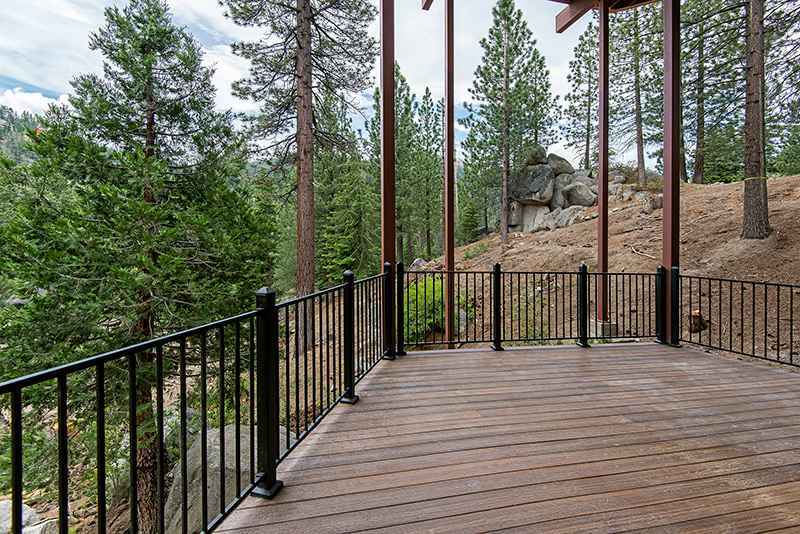 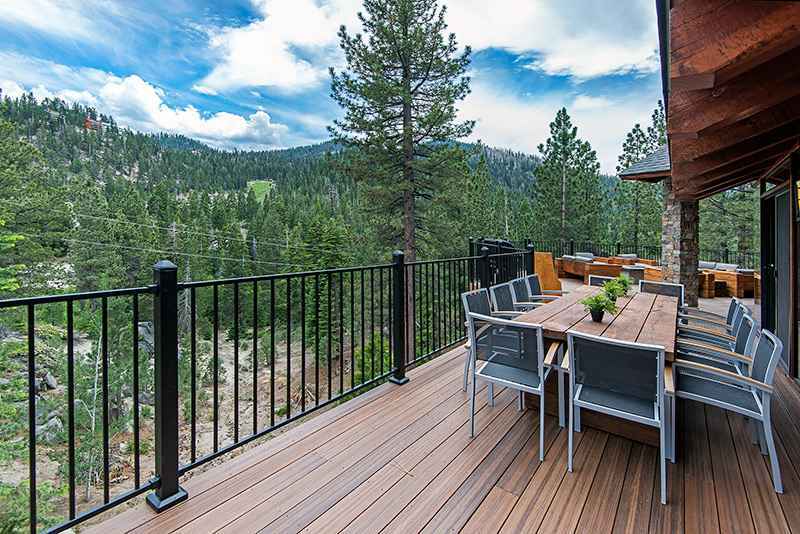 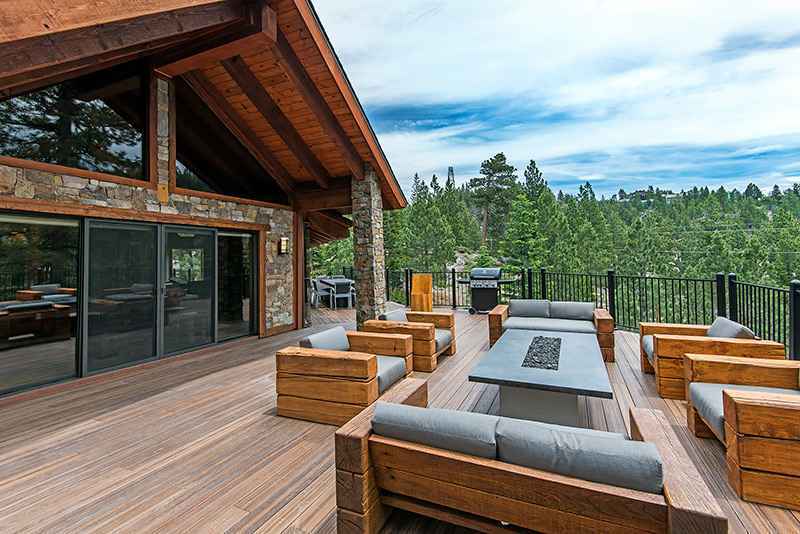 Another large deck off this bottom level which connects to some of the best hiking and mountain bike trails in all of Tahoe. 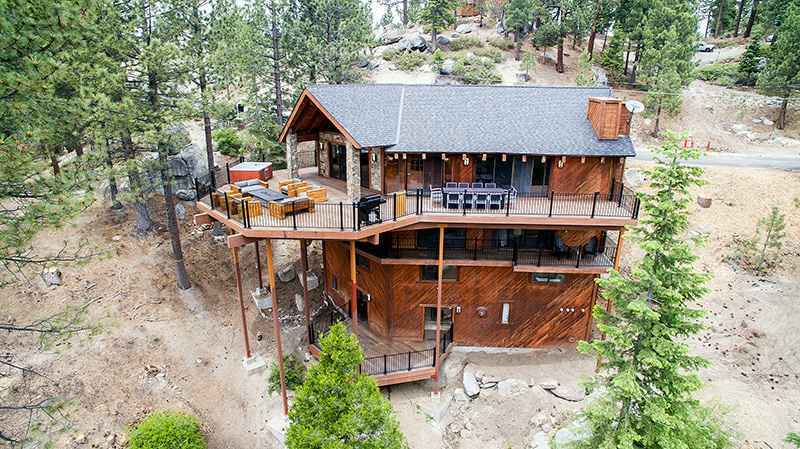 Heavenly Boulder Ski Lodge right out the back yard. 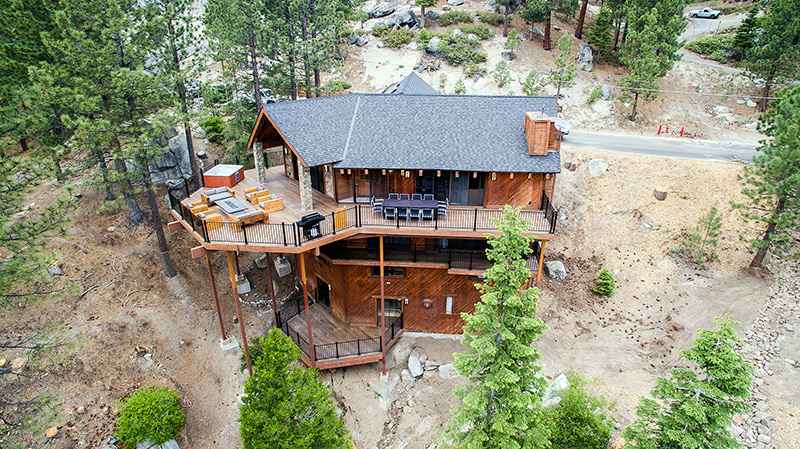 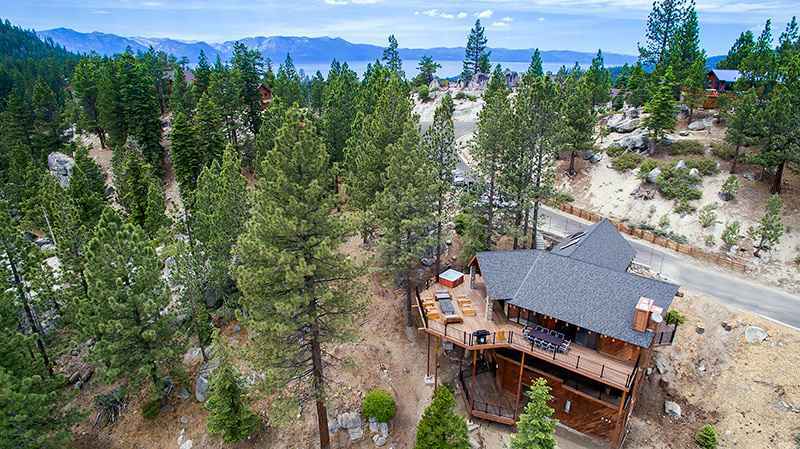 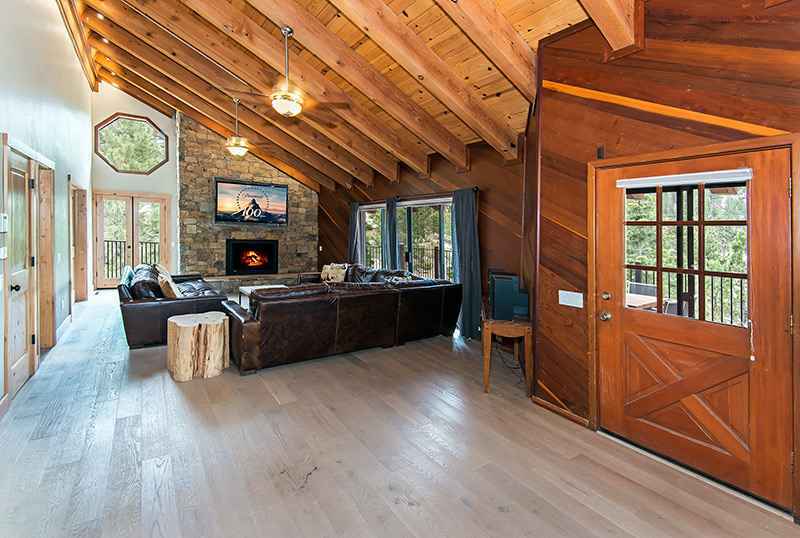 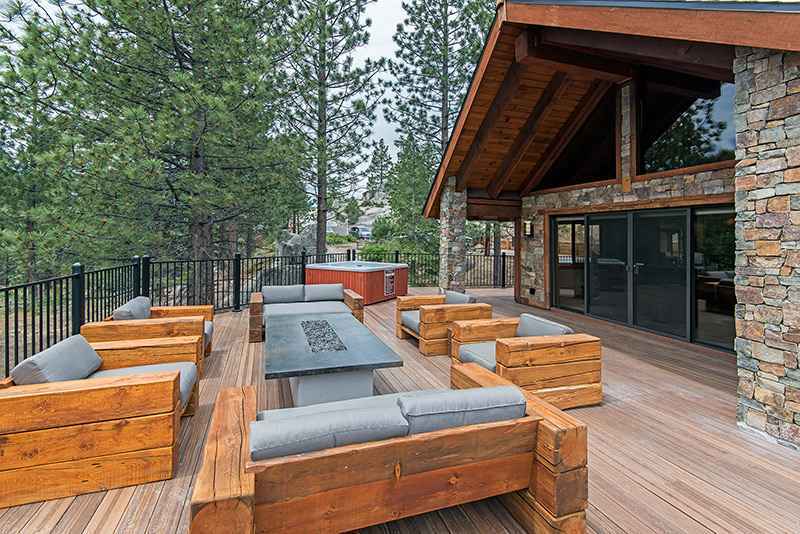 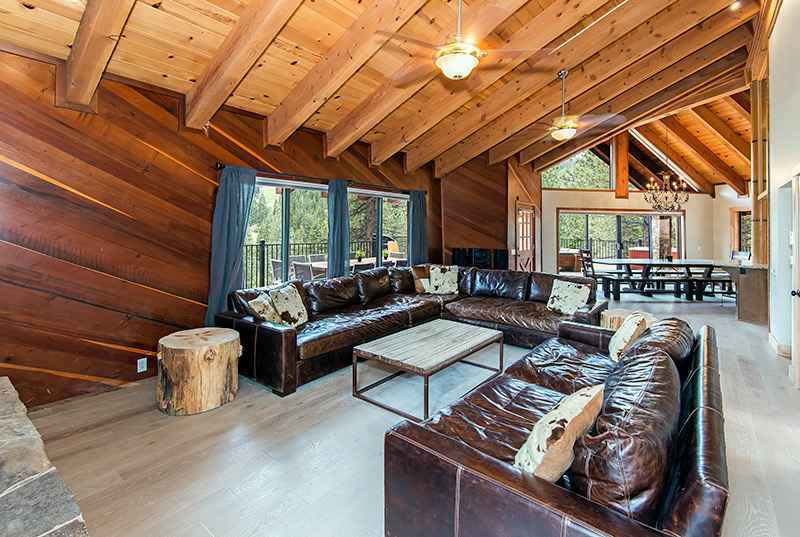 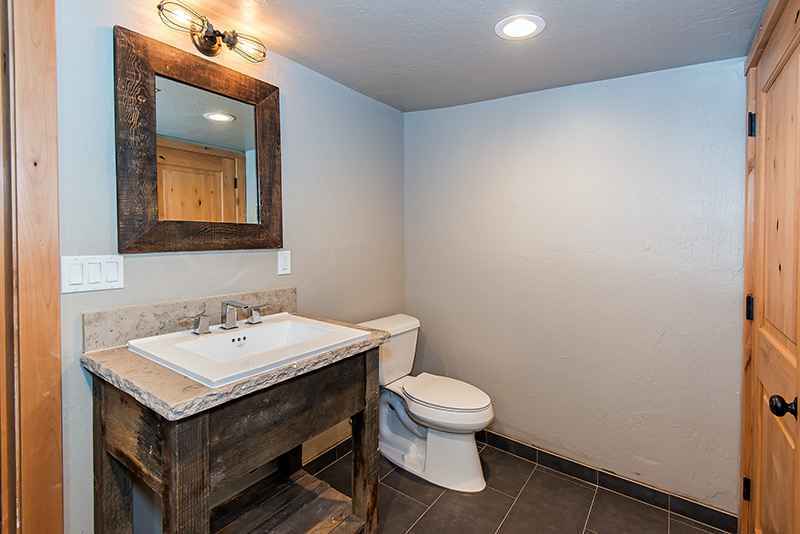 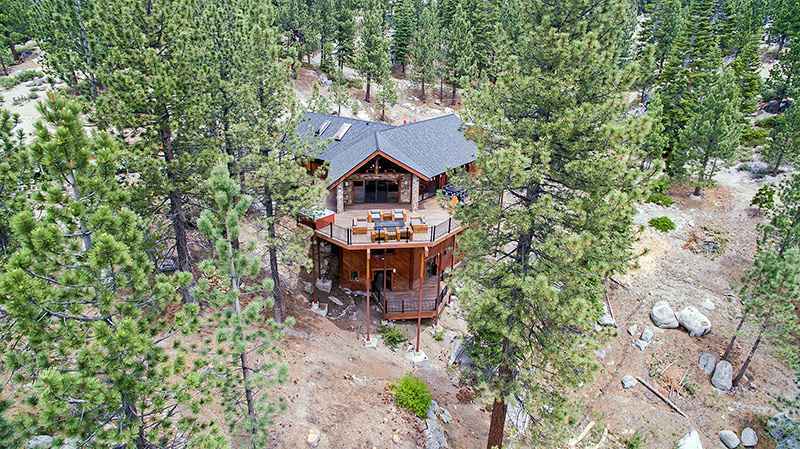 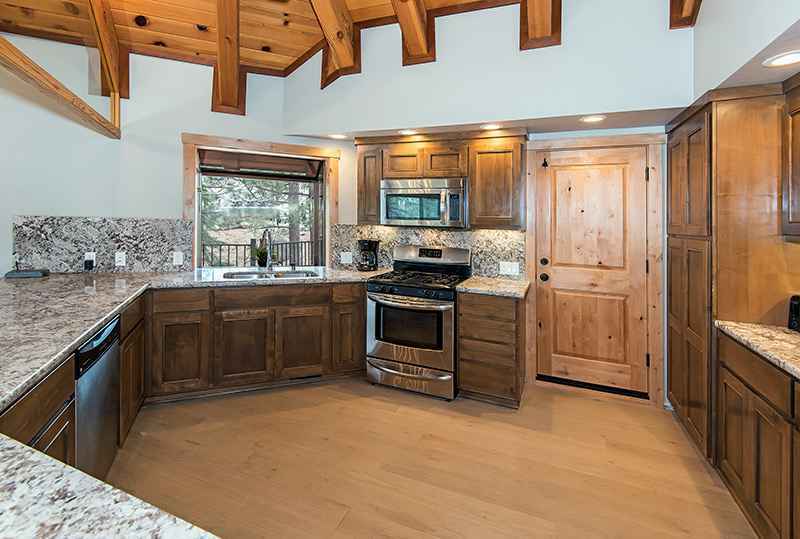 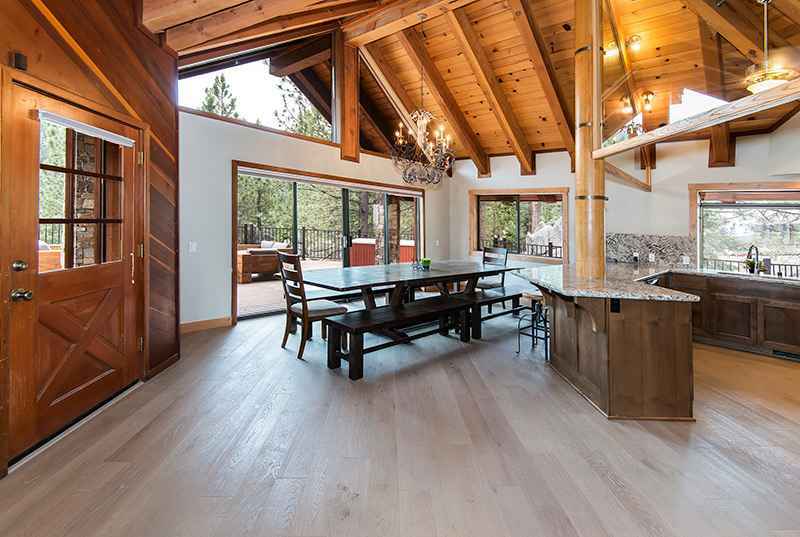 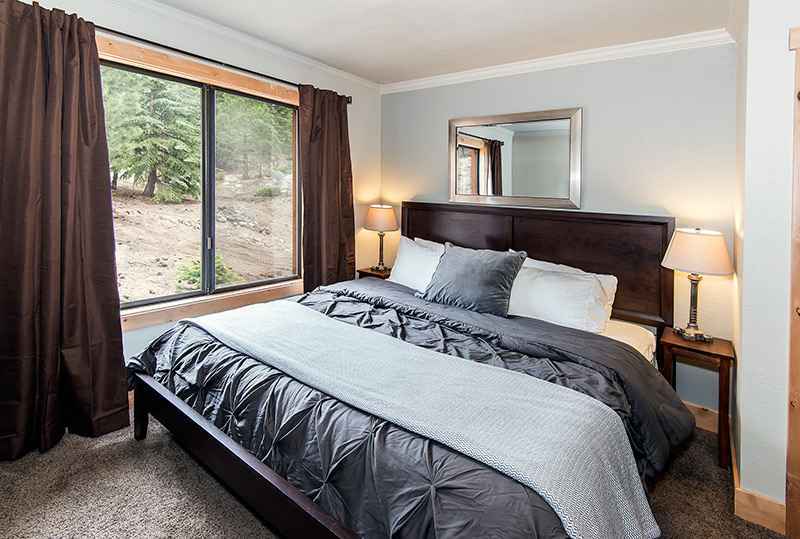 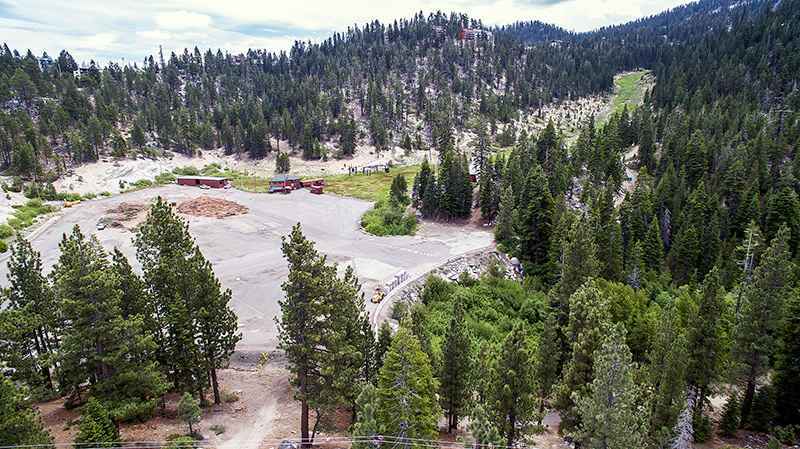 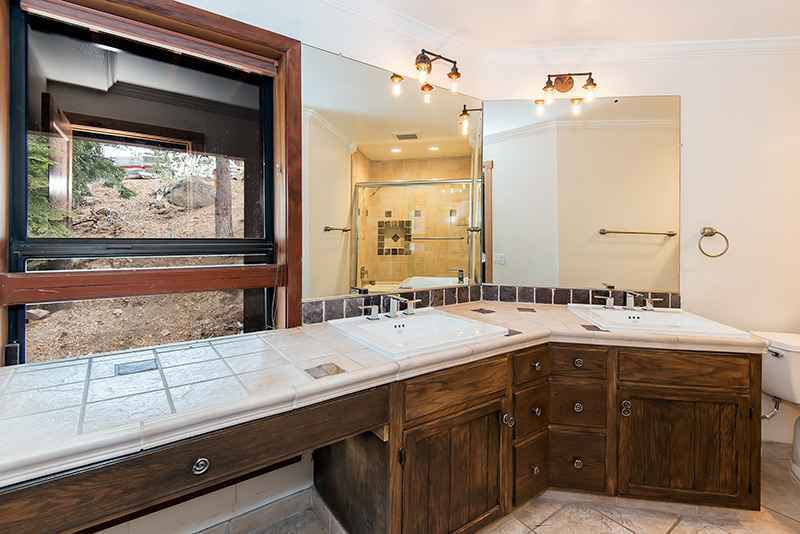 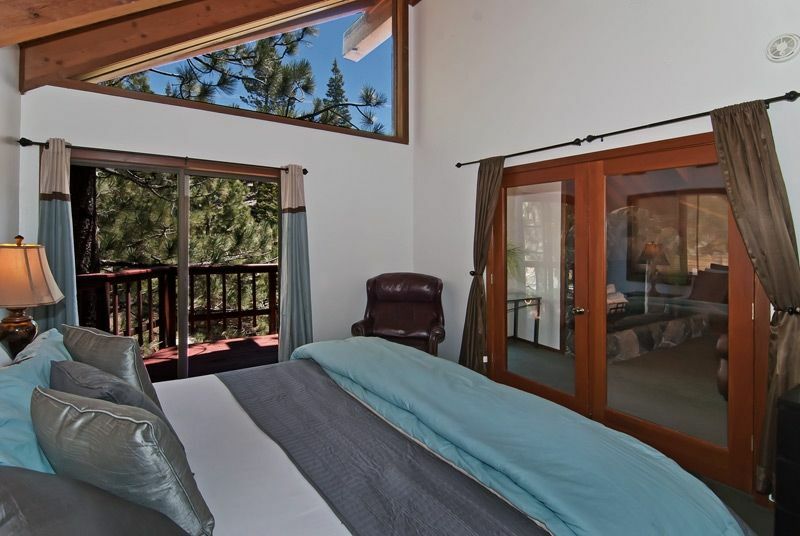 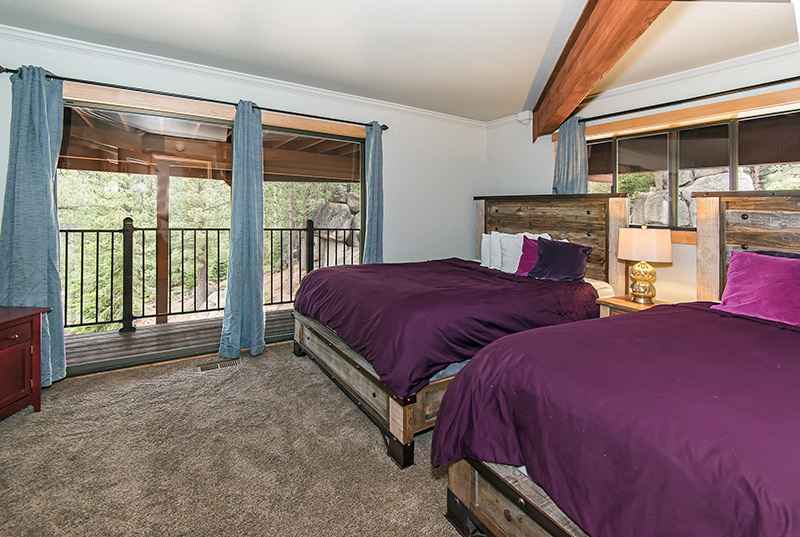 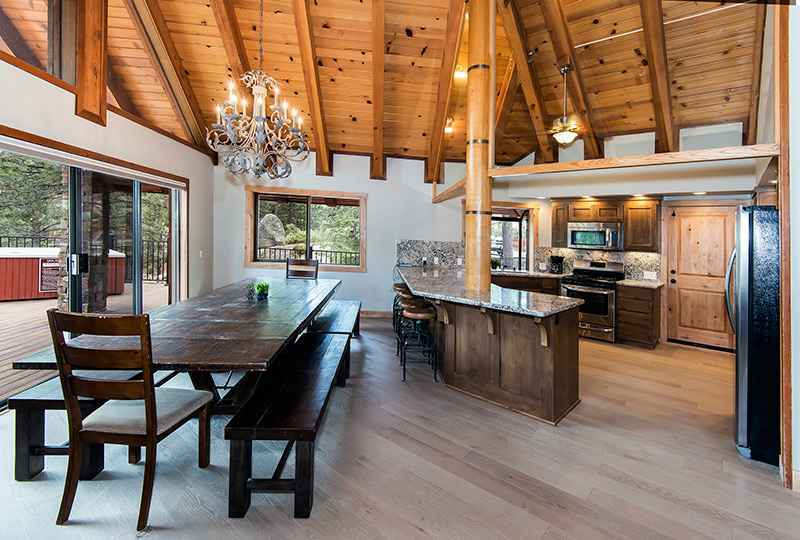 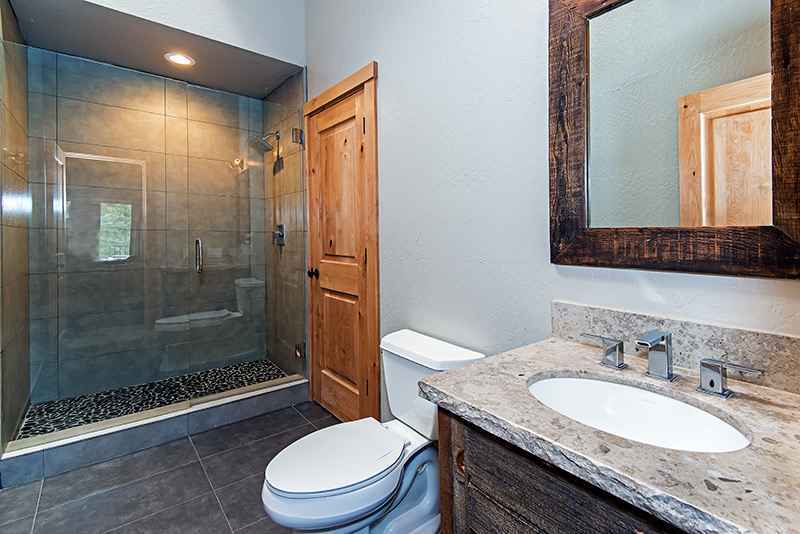 This home is perfectly located steps from the Heavenly Boulder Lodge (couple hundred yards) and a close couple mile drive to the beach and Stateline/South Lake Tahoe casinos. 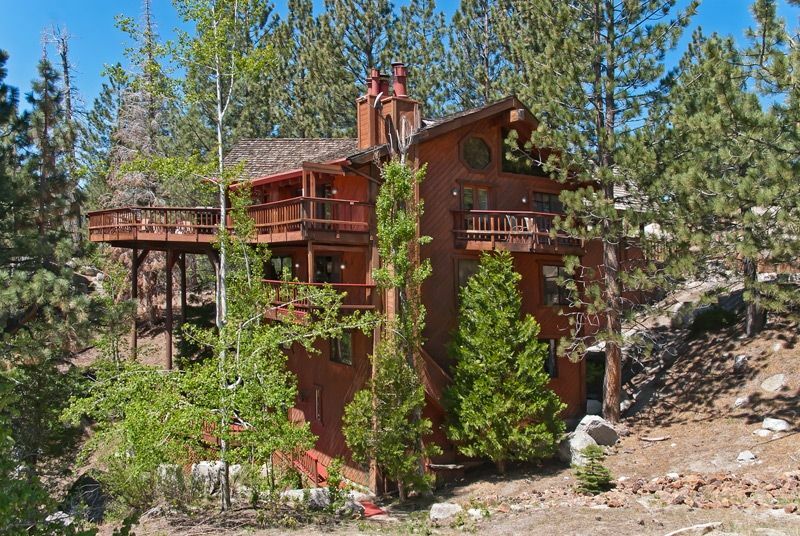 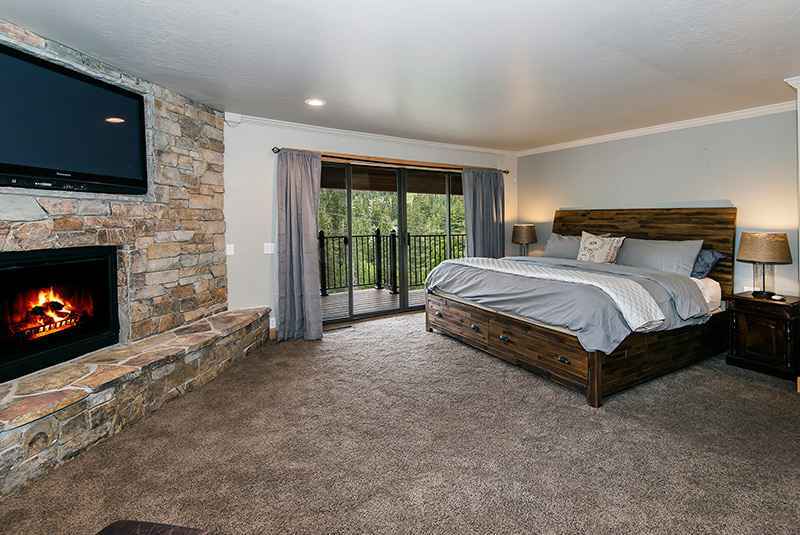 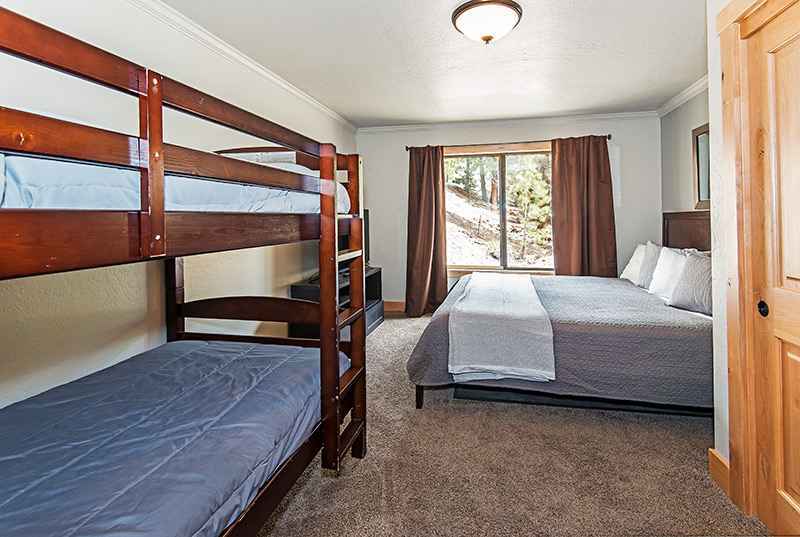 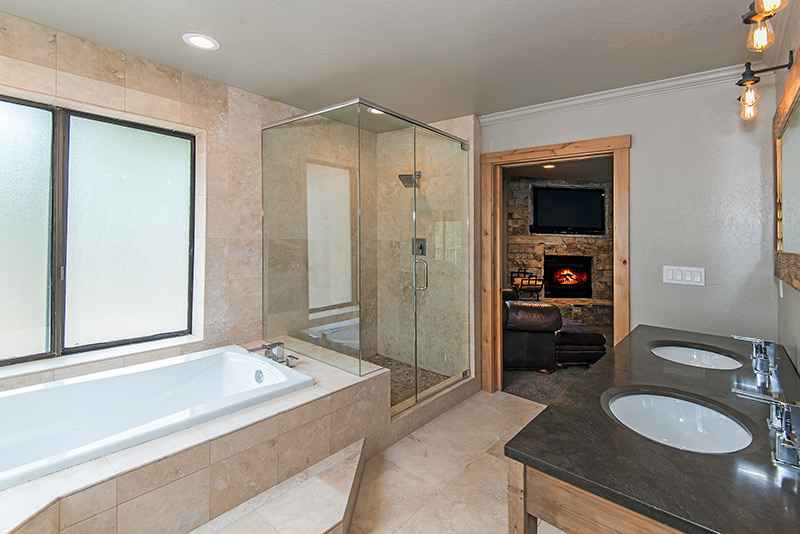 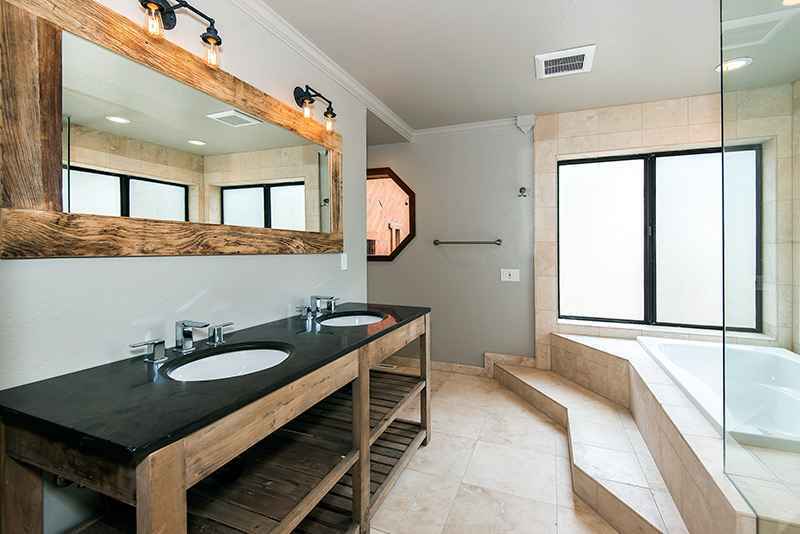 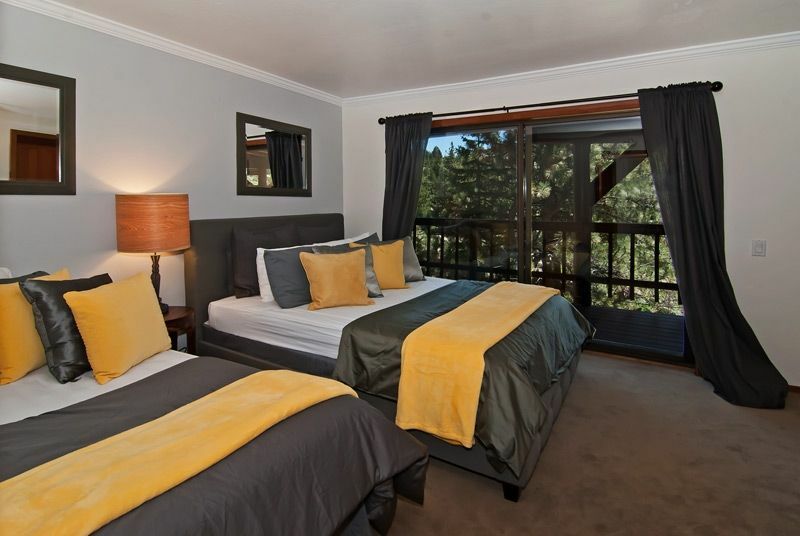 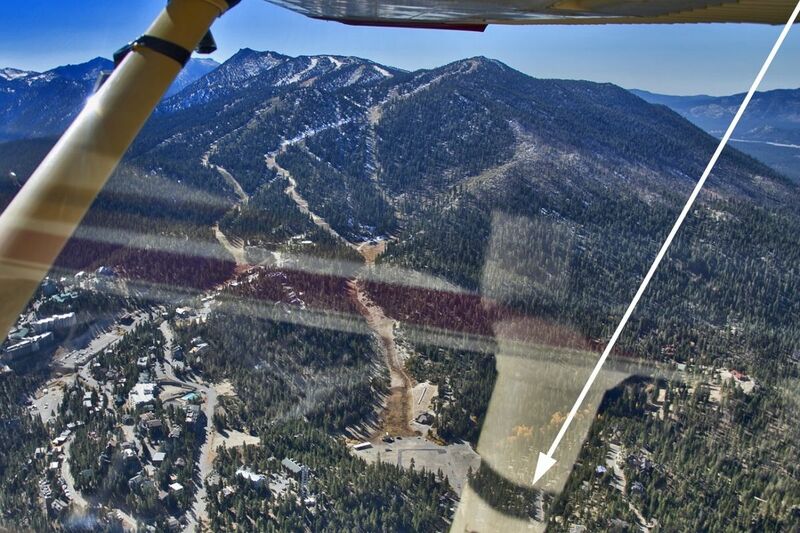 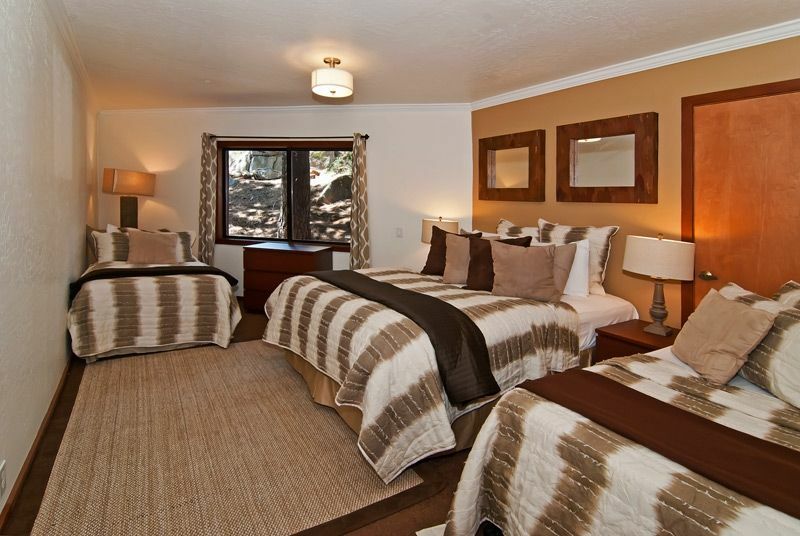 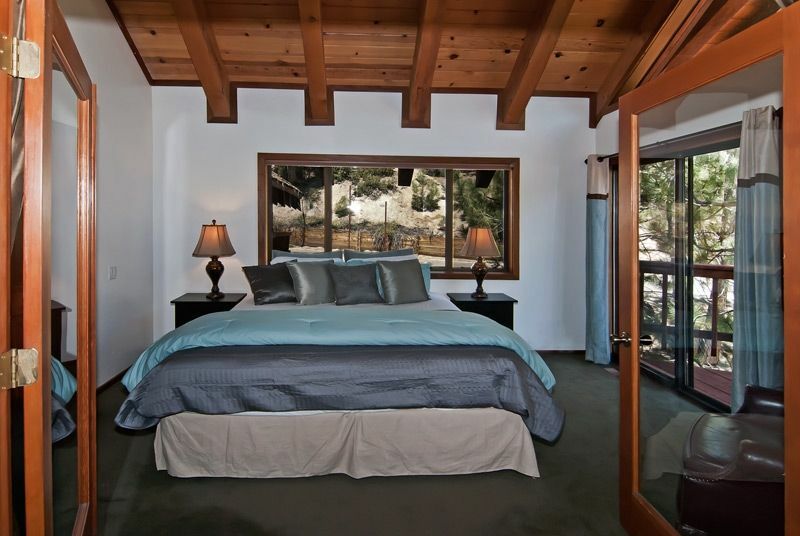 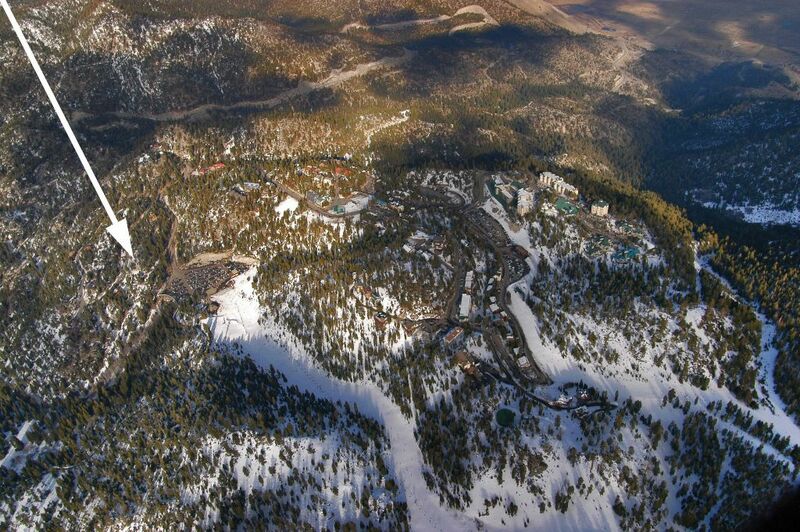 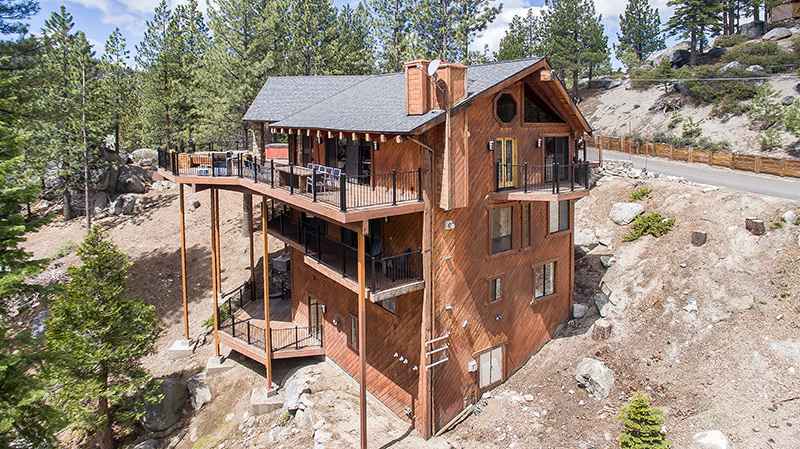 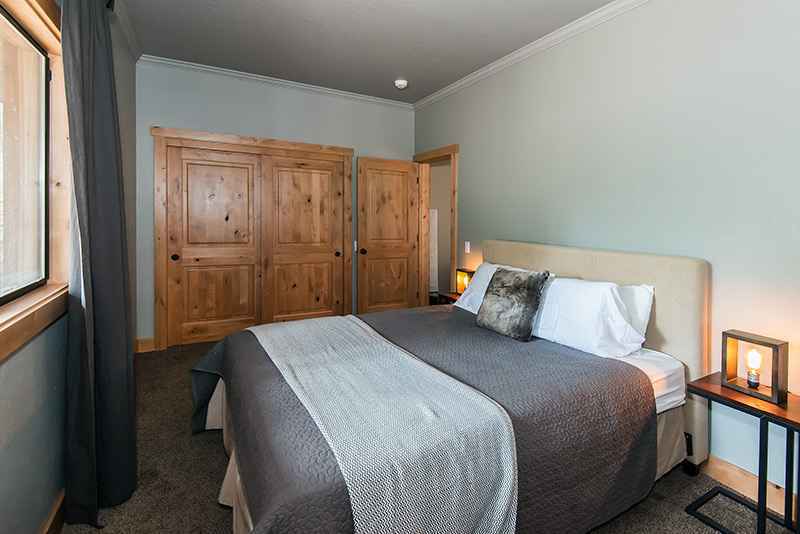 This property backs up to the Heavenly Boulder Lodge just a couple hundred yards away. (100 yards to Heavenly Parking Lot). 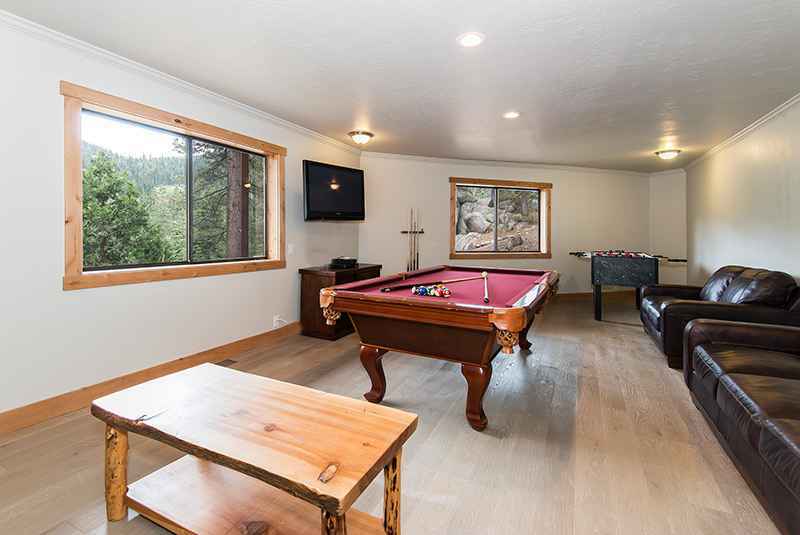 Big Screen TV with High Def. 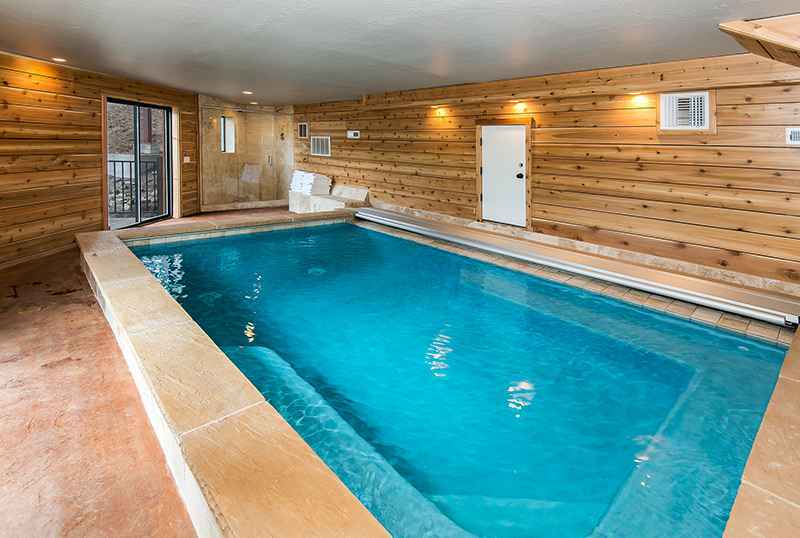 SECURITY DEPOSIT: A $500 security deposit will be "frozen" as an authorization but will not be charged unless damage or abuse occurs. 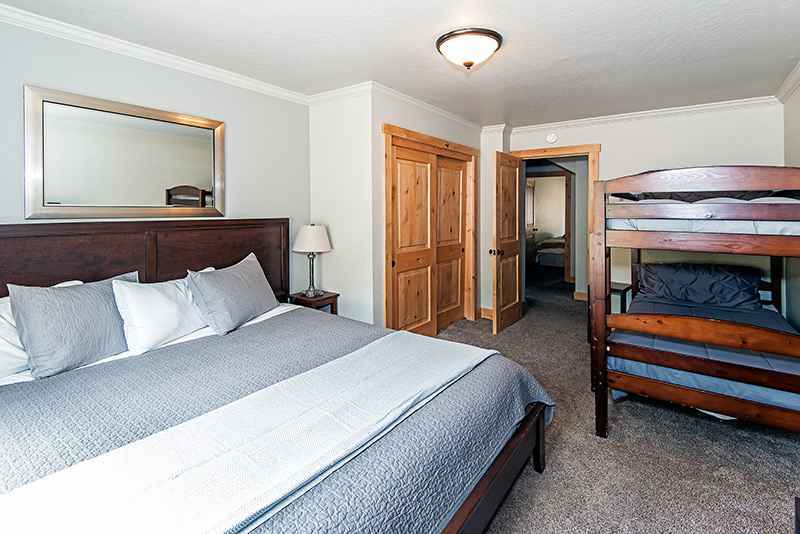 The minimum deposit is $500.00 but may be made higher due to special circumstances. 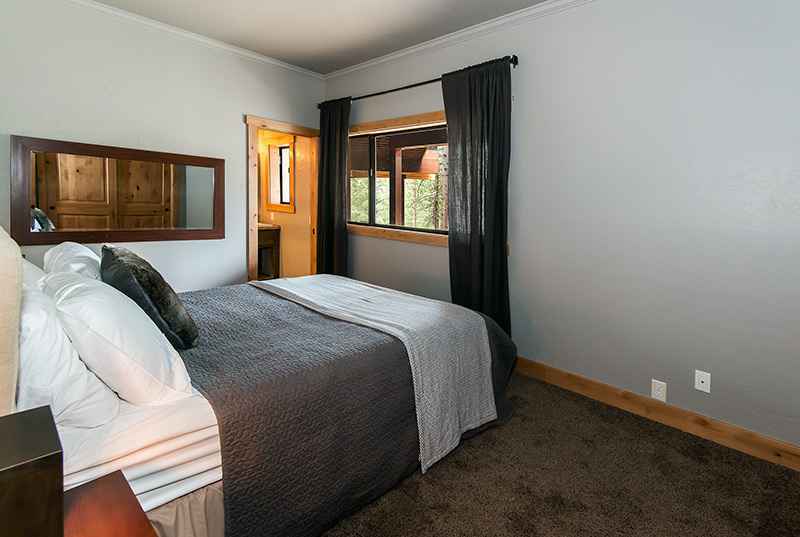 Any damages to the unit resulting from misuse, neglect abuse or theft by the guest or any member of his party or invitee will be charged to the security deposit.